Best Cardiologist in Pune, India is a very subjective term, as there are a number of doctors in India specializing in Cardiology across several top hospitals. 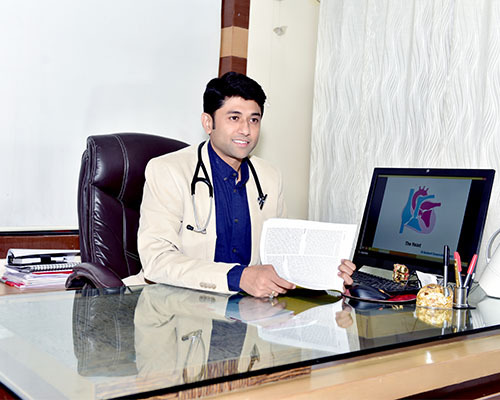 Dr.Rahul Raosaheb Patil is notably amongst one of the best Cardiologist in Pune as well as in India. He is an expert Interventional Cardiologist in Pune, practice since 2006 and Director, Interventional Cardiology, at Hridayam Heart Clinic in Pune. He has also served as a Consultant Cardiologist at Ruby Hall Clinic since 2006. In addition, Dr.Rahul Patil teaches at BJ Medical College & Sassoon General Hospital, in the capacity of Assistant Professor. Our goal is to help you achieve your best health. We spend time listening to understand your concerns and responding with the best treatment options for you. With the help of our professional staff, they also follow up to make sure that your health improves. Rather than being a superior Cardiologist in Pune we try to become the best cardiologist. Our team at Hridayam Heart Clinic in Pune consists of experienced and qualified paramedical staff and dedicated support team will certainly help you to heal a Cardiological problem and We can become the best cardiologist in Pune by serving the patient thoroughly. For ESMR treatment in Pune, i.e. Extracorporeal Shockwave Myocardial Revascularization(ESMR)Therapy for the treatment of chronic heart failure; Dr. Rahul Patil has successfully treated many patients at Hridayam Heart Clinic in Pune.